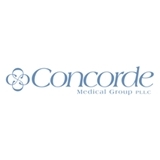 Concorde Medical Group PLLC (New York) - Book Appointment Online! Welcome to Concorde Medical Group PLLC As a group of physicians across various specialties, we offer our patients something that is often missing in healthcare: personal attention and commitment to our patients' long-term health. Our physicians are devoted to the comprehensive care of our patients and work together as a team to ensure their optimum health and well being. Concorde Medical Group is proud to be a participant in the NYU Medical Center, as well as Beth Israel Medical Center, and maintains teaching responsibilities at both hospitals. Excellent, caring doctor. She is very knowledgable and trustworthy. Dr. Oneto was very professional and provided me with answers to my questions thoroughly. She was detail oriented, friendly and made my visit very pleasant. Dr. Krauss and his staff were excellent across the board: communicative, clear, and caring. Dr. Krauss was thorough and thoughtful in his questions and examination. He explained to me his reasoning behind my follow ups instructions, gave me many opportunities to clarify his explanations, and took every action he could to make my appointment efficient but also thorough. I appreciated his professionalism and attention to detail and would certainly recommend him to others. I have seen Dr. Sherman for at least 5 years, and, along the way, I have developed some serious gastrointestinal problems. I also have some longstanding, intractable GI problems. Dr. Sherman is an extremely caring and attentive physician, and he doesn't give up. He certainly extended himself for me. I cannot speak highly enough of him. Dr Mazza was kind, knowledgeable, personable and attentive. He listened to me, "looked me in the eye" and took an interest in what I had to say. He was able to make associations with the info I gave him and came out with a reasonable diagnosis. I highly recommend him.